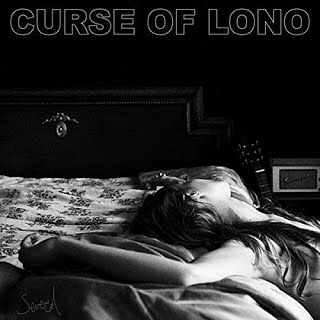 Curse of Lono is one of those bands I found on one of my random days on YouTube. They immediately caught my attention with beautifully crafted melodies and gorgeous atmosphere. It was a sound that I had been missing. I heard a few songs and that was enough to get me hooked. The song that caught my attention the most was the new single "Pick Up The Pieces". With a bluesy riff and a fun sing-along hook, it instantly got in my head. I knew I was going to get the album when it dropped. After a few listens I will say that this has been one of my favourite records of the year. Amidst all of the same sounding rock and metal here was something fresh to my ears. In all honesty, this is the first album I've wanted to write about this year, rather than being obligated to. Their debut album, Severed, is a hypnotic and passionate album with intricate music and well performed musicianship​. I feel like every musical element was gorgeously integrated into the production. Nothing feels overstated, every instrument blends together to make an aura of atmospheric sounds. All of the melodies are so nice to listen to, most of them feeling like old songs that I've been listening to since childhood. Also the vocals float nicely on top of the production. It has a very 70's singer-songwriter feel to it. If you like your old school folk music, this is an album you will need. What catches me more are the beautiful vocal harmonies that fill out the songs. The vocal performance is dynamic. It's not just one style of vocal performance so you never actually feel bored with any of it. Curse of Lono, really hit home with this aspect. There are quiet subtle moments and big awe-inspiring sing along moments which definitely keeps me engaged throughout. I love this one. This is a sound I've been looking for and I'm so happy that I have found it. The album is hauntingly beautiful and keeps the emotion right at the front and centre. The musicianship is tight and the songs keep you hooked in. I highly recommend you get some good speakers or headphones and just let this one play. I’ve had a ball with this one and I don’t think I’m done with it yet.